Recent events remind me of Oscar Wilde’s quote: “To expect the unexpected shows a thoroughly modern intellect.” The last 12 months have seen several significant surprises including Brexit, Trump’s victory and South Africa’s recent cabinet reshuffle, the ramifications of which will impact markets for years to come. It is important to be aware of the possibility of unexpected events and build investment portfolios that are robust enough to withstand political and economic surprises. The political and economic uncertainty has resulted in a challenging year for investors, with only local bonds achieving double-digit returns (off a low base after Finance Minister Nene’s dismissal in December 2015). Offshore assets have been negatively impacted by rand strength with only offshore equities in positive territory. The rand has been surprisingly strong given the domestic political turmoil. Higher commodity prices helped our terms of trade improve and the global search for yield saw foreign investment in our bond market, despite the credit downgrades from Fitch and Standard & Poor's. We believe offshore assets are a valuable way to improve risk-adjusted returns and not merely a means to benefit from potential rand weakness. Commodity prices have been strong until recently and despite rand strength, resource shares were the standout performer in our equity market in 2016. However, after a strong start to the year in 2016, resource stocks have modestly underperformed the broader market over the last 12 months, with the index returning 2.8% compared to the FTSE/JSE All Share Index returns of 4.5%. We expect global and local GDP and earnings growth to be better in 2017 than 2016, but caution is warranted given continuing political and economic uncertainties. It is at times like these that the experience and insight of a globally integrated team of 196 investment professionals proves its value. Our winter newsletter is packed with our team’s insights on risks and opportunities for investors, as well as two interesting interviews. Global Strategist Michael Power reviews Trump’s first 100 days in office. Initial optimism that, as a businessman, Trump would cut through Washington’s red tape and quickly cut taxes, reduce regulation and increase infrastructure spending, has quickly turned to disappointment, and the Trump trade appears to be running out of steam. Passive investing is attracting increasing investor attention, so David Murray-Smith and I look at the advantages and disadvantages for investors. We conclude that active managers with a well-resourced investment team using a disciplined, robust and repeatable investment process can and do outperform the market and passive managers over the long term. They say “diamonds are a girl’s best friend” and Samantha Hartard, our recently promoted SA Equity & Multi-Asset Portfolio Manager, looks at Richemont’s changing fortunes and how the growth of branded jewellery and recovery in luxury spending are resulting in upward earnings momentum and share price gains. Our Investec Global Franchise portfolio managers are known to sleep well at night as global quality companies like Nestlé (which has over 2 000 brands and operates in 196 countries) are largely unaffected by who sits in the White House, no matter how unpredictable they may be. Clyde Rossouw and Neil Finlay from our Quality team highlight the benefits of a quality approach and why it complements exposure to South African assets. Equities trade at elevated multiples and bond yields look unattractively low or risky, so investors are increasingly drawn to alternative assets. Our Co-Head of SA and Africa Fixed Income, Nazmeera Moola, looks at the opportunities in Africa arising from the gap in infrastructure spending and the advantages of taking a long-term approach to investing. Our CEO Hendrik du Toit regularly reminds us to “do the right thing”. Client Manager Gumani Tshikovhi shares his passion for transformation and why he believes it is the “right thing” to do for our business, our clients and our country. 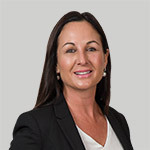 We finish off with an interview with Client Director and Investec Asset Management veteran Jelene Meintjes, who explains what motivates her and what she enjoys about her role interacting with clients and the investment team. Tolstoy said: “The two most powerful warriors are patience and time.” As a business, we are about building enduring partnerships with our clients and a long-term approach to investing. Winter is coming, but so is spring – it is important to prepare for both to be able to manage the risks and take advantage of the opportunities. We greatly appreciate your support and look forward to partnering with you for many seasons to come. NEXT ARTICLENightmare on Pennsylvania Avenue? All information and opinions provided are of a general nature and are not intended to address the circumstances of any particular individual or entity. We are not acting and do not purport to act in any way as an advisor or in a fiduciary capacity. No one should act upon such information or opinion without appropriate professional advice after a thorough examination of a particular situation. We endeavour to provide accurate and timely information but we make no representation or warranty, express or implied, with respect to the correctness, accuracy or completeness of the information and opinions. Fluctuations or movements in exchange rates may cause the value of underlying international investments to go up or down. This is not a recommendation to buy, sell or hold securities. We do not undertake to update, modify or amend the information on a frequent basis or to advise any person if such information subsequently becomes inaccurate. Any representation or opinion is provided for information purposes only. This is the copyright of Investec and its contents may not be re-used without Investec’s prior permission.